To celebrate 20 years since the beginning of The No. 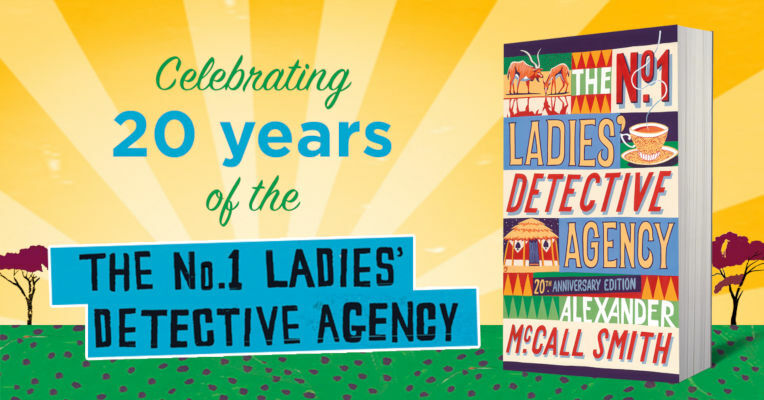 1 Ladies’ Detective Agency, a special 20th anniversary edition of the book that started it all has been released. No collection would be complete without it. Get your copy today! Alexander McCall Smith’s No. 1 Ladies’ Detective Agency series started life as a short story written for friends. The story soon took hold of its author and grew first to one novel and then to many more. Now, with over 20 million copies sold in English and translations in 46 languages, the No. 1 Ladies’ Detective Agency series is one of the most successful and beloved in the world. In 2018 McCall Smith celebrates the 20th anniversary of first publication of the very first book in the series. Precious Ramotswe, a cheerful woman of traditional build, is the founder of The No. 1 Ladies’ Detective Agency in Gabarone, Botswana. Since her first appearance in 1998, Mma Ramotswe has established herself as one of the most famous private detectives in world-literature. Her gentle interpretation of the detective role is helped along the way by a host of delightful characters: the patient and noble Mr J.L.B. Matekoni, her long standing fiance; her loyal and enterprising assistant, Mma Makutsi; and the wily Mma Potokwane, matron of the nearby orphan farm. With her friends by her side, Mma Ramostwe navigates her cases and her personal life with her innate wisdom, good humour and the occasional cup of tea. Click on the link above for more about the 20th anniversary edition!